It’s a full-time job keeping up with the restaurant scene in the capital. No sooner than Afghan food begin to take root, when the cuisine of Manipur and Nagaland become popular in another part of the city. Perhaps one day there will be at least one restaurant for Russian, Peruvian and Nigerian food, but right now, we are congratulating ourselves on the opening of Casablanca. It has been rather long in the making, and Chef Rachid Choukki has been a fixture of sorts on the social scene in the NCR. Chef Choukki is from Marrakesh and his wife is from Wuhan. Choukki is enjoying every moment of his celebrity because he is the only Moroccan chef in the NCR at the moment and all eyes are on him and his supremely successful restaurant. Housed in a separate double-height building, Casablanca could have gone the too-ethnic-to-be-true way but has, instead, been put together as a neutral, sophisticated space with Maghribi touches in the interiors. Visit the riads of Morocco and you will be assailed by the same half dozen or so dishes: lamb tagine with prunes, pastilla and chicken tagine with olives and preserved lemon. Well, the good news is that Choukki’s repertoire is far wider than that, so just the cold starters run into several pages. Most are made slightly tart by the judicious use of either freshly squeezed lime or the juice of the preserved lemon. 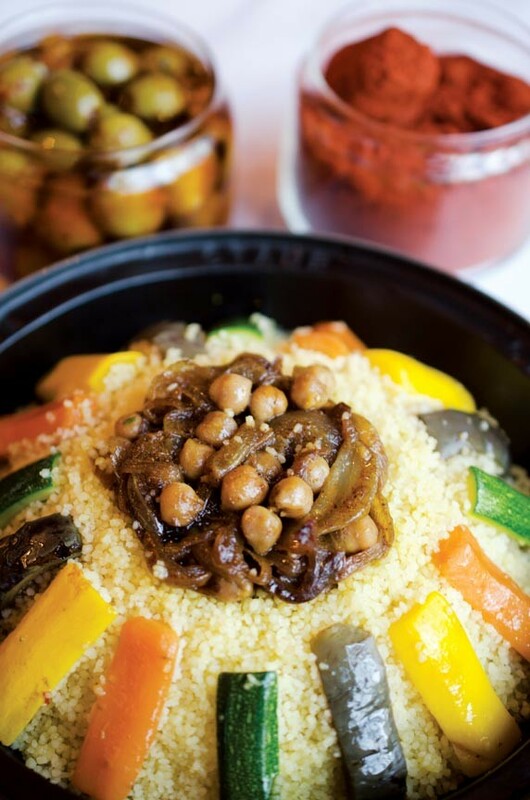 The most popular starters include harissa – the ground paste of red chillies and pickled olives. Far more than olive oil, green and black olives take to pickling spices like a duck to water, so in the short time that Casablanca has been open, the olives have exceeded everybody’s wildest expectations. Real Moroccan bread is baked inhouse: eaten with a slathering of harissa, it is the most elemental of tastes of that country. As you go through stewed lamb with black eyed peas and baked bread with slow roast beef filled in it, you realize how much synergy exists between the tastes of India and Morocco. And by the time you’ve ordered your grilled lobster with ras al hanout (a spice mix that is even more aromatic than our own garam masala) you wonder why Moroccan food took so long to arrive at our doorstep.